The work pursued through CATALYST has been imperative for maturing key technologies of Masten’s lunar lander, XL-1. Since 2014, Masten and NASA have been working together on designing, building, and testing subsystem components for XL-1. In 2019, Masten will be testing the hardware and software developed under CATALYST on our newest reusable flight vehicle, XL-1T, which will act as a terrestrial testbed for our lunar lander. I always root for Masten. Their updates have been pretty quiet, not sure which direction they’re headed. The Mojave Air & Space Port records indicate they’re pretty delinquent on some rent payments. 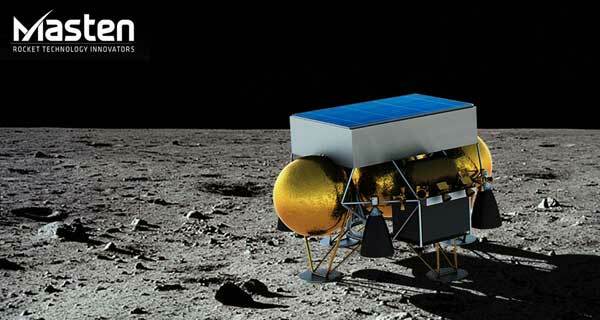 Their small lander is somewhat designed to mimic the configuration of the full-scale XEUS lander. It is a crying shame that they have a couple of Centaur upper stages in a warehouse ready to develop their Terrestrial Deminstrator version of the XEUS and would need only about $20 M and 1.5 to 2 years to get a full-scale lander performing the entire terminal lunar landing sequence over the skies of Mojave. This Administration could get boots on the lunar surface in a commercial away if they only chose to.